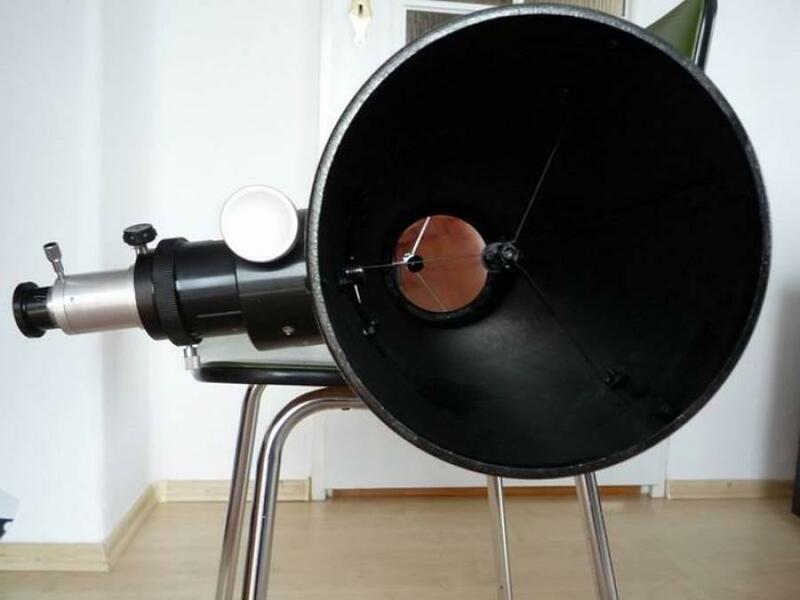 for several months of using this type of telescope, which I invented, built and successfully used for planetary and other objects for which it is appropriate to large magnification, eg Moon, planets, double stars and others. 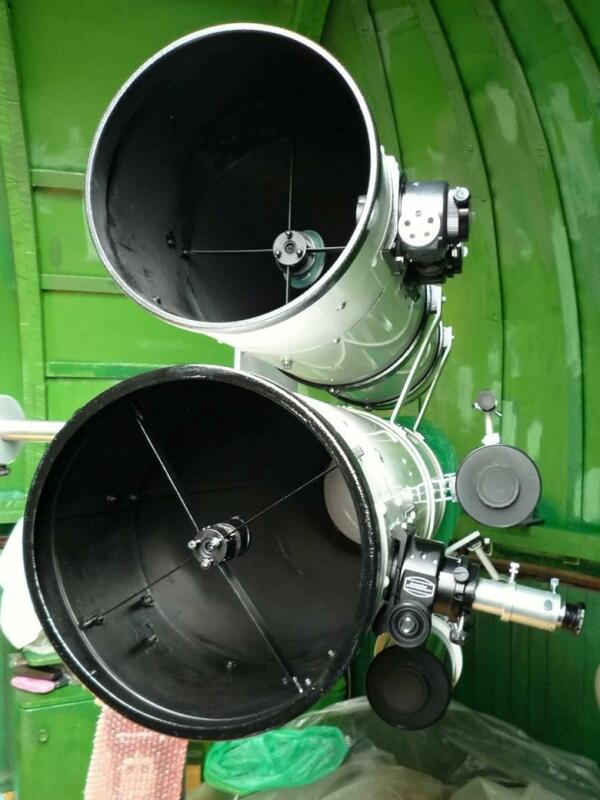 The basis of my design is Newton telescope and a need for good results is excellent primary and secondary mirror. 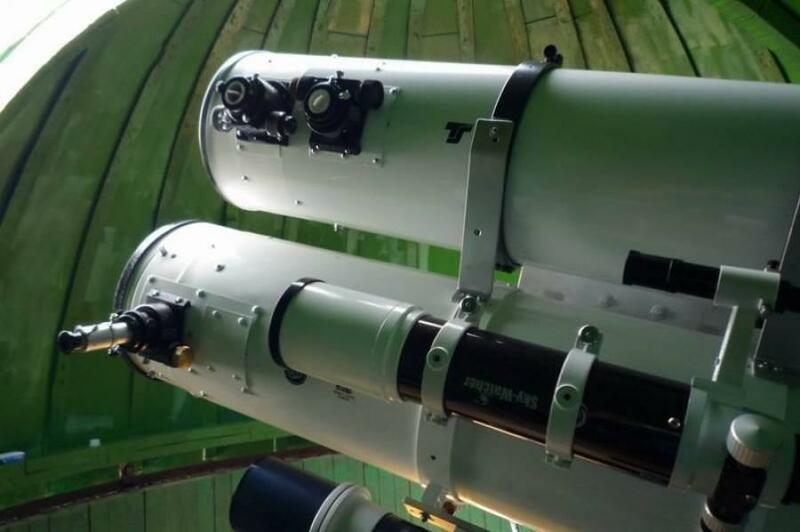 The telescope has compared with a conventional construction, shifted and smaller secondary mirror, thus reducing the obstructed area up to 15% and less and better use of central rays. The eyepiece is replaced by eyepiece adapter - basically microscope with appropriate objective parameters therefore with good light aperture. Even the first looks reveal an exceptional quality of display when using great magnifications without any distracting aberrations which appear using a classical constructions. Optical diagram and a trial recording attached to this report. It is important to mention that a high quality image is only on the optical axis, and around it. The telescope must be perfectly collimated. When construction is also to see to it that the use of high quality secondary mirror, it is necessary to re-measure the quality. Mirrors, which are offered with varying quality, but rather the worse and even from reputable companies. I have the good results with mirrors from czech company ATC-Prerov, which is offered at a reasonable price. It is also necessary that matt black inside between the lens and eyepiece was perfect, preferably using glued shades, otherwise the image is loss of contrast. Excellent results are achieved if the shading reflection of secondary mirror gets to 15% or less relative to the primary mirror. For example, if you use the mirror aperture of 1:6 shading secondary mirror can reach up to 10%. Telescope resolution on the optical axis surpasses all existing types of telescopes - Schmidt-Cassegrains, Maksutovs, Super-apochromat lenses and others. This comparison was practically tested many times. I attach a test recording of terrestrial, not too distant object. This video was created with regard to the elimination of seeing and is done through a modified telescope Sky-Watcher 150/750 mm. The focus is stretched to 1350 cm, which presents the magnification of 9D !! Small axis of secondaty mirror is 18 mm (12%). As reading lenses are used standard microscopic achromatic objectives 4x, 6x, 10x, 15x. 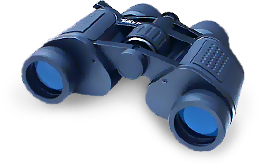 For visual observing I use orthoscopic eyepiece f = 10 mm (rapid calculation of final magnification). 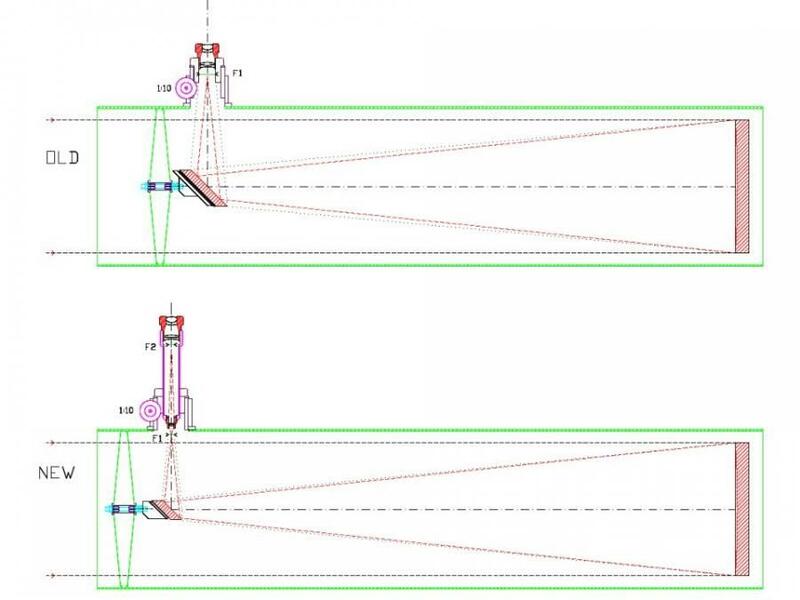 I recommend use 16-17 cm distance between F1 and F2 for which these microspopic lenses are calculated. The sample recording is created by usual type of FSAN security camera, model 9811Q97 with AV output, which I use for on-line astronomical observations. In practical tests of this type of telescope, the image was good even when enlarged 9D, while the practical compared to the high quality apochromatic telescope LZOS 115/805 mm the image at a magnification 7D of APO lens was slightly blurred and not sharp, so in this type of telescope was virtually blur-free picture, sharper and clearer. I currently have reworked and used telescopes with mirrors 1:4 (300 mm), 1:5 (200mm.1: 4 (150 mm), 1:5 (150mm).